Thanks for joining me today for this weeks Stampin' Up! Artisan Design Team blog hop! Hopefully you have arrived from the amazing Wendy Weixler's blog. If not, keep clicking on the button at the bottom of each blog post and hop to work your way back around. 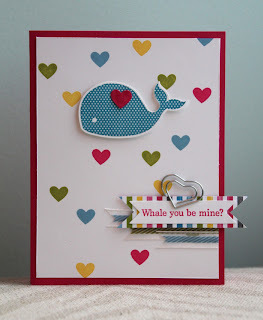 This week I wanted to focus on the "Oh, Whale" set. This stamp set is super cute and so fun! 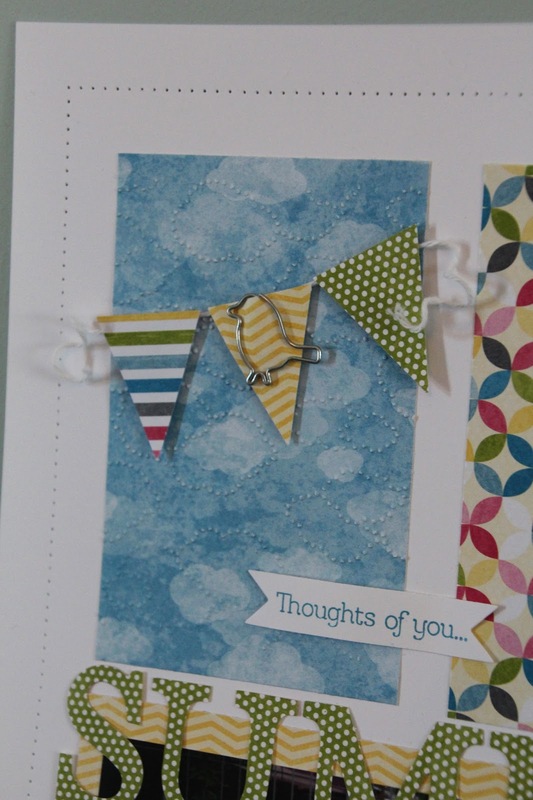 My second project is a scrapbook page titled "Thought of you... SUMMER". We still have so much snow here and we can not wait for summer to arrive! Creating this page gave me a little glimpse into what we can look forward to, hopefully soon! Thank you so much for checking out my projects today! 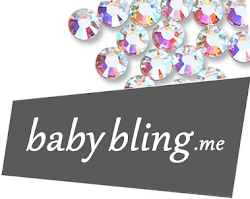 Please continue on to Cindy's blog and the beautiful project she has today!! I LOVE that pack of DP, and I love how your scrapbook page was able to use so much of it without being overwhelmed!! These projects are so cute, Amy! I love the hearts all over the whale card. The scrap page is bright and fun. 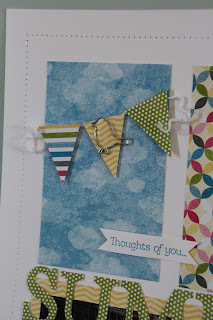 The embossing over the DSP is such a great idea - cute!! Love what you've done with these products - especially the clips. I love your SB page, especially the panels which add so much interest. Oooooo! What FUN!! You ROCKED this little whale set!! You are a master scrapbooker, my dear!! Of course, the card is cute-cute-cute, too!